Austin & Williams was recognized by the judges of the 31st Annual Educational Advertising Awards as a “Best of Show” winner for its Molloy College advertising campaign. The agency also received three gold, four silver, two bronze and one merit award for its Molloy College and Metropolitan College of New York (MCNY) campaigns. The award-winning Molloy College campaign—which garnered Best of Show (Newspaper Ad Series), one gold (Newspaper Ad Series), three silver (Outdoor, Total Recruitment, Total Advertising), and one bronze (TV Series)—poses the question “What Are You Searching For?” The campaign leverages how social tools have opened up a universe of possibilities to the current generation when searching for a college. Austin & Williams also received two gold (TV/Single, Total Advertising), one silver (TV Series), one bronze (Total Recruitment) and a merit (Outdoor) award for its MCNY “What’s Your Purpose?” campaign that presents the college as an educational pioneer with a holistic vision of a better world. It expands on MCNY’s core “purpose-centered” education curriculum that focuses on the belief that students learn best when they understand the “purpose” for their learning and see the connection between what they learn in the classroom and their ability to change the lives of others for the best. The various ads and TV spots showcases the tangible social outcomes and neighborhood-serving achievements an MCNY graduate can accomplish. 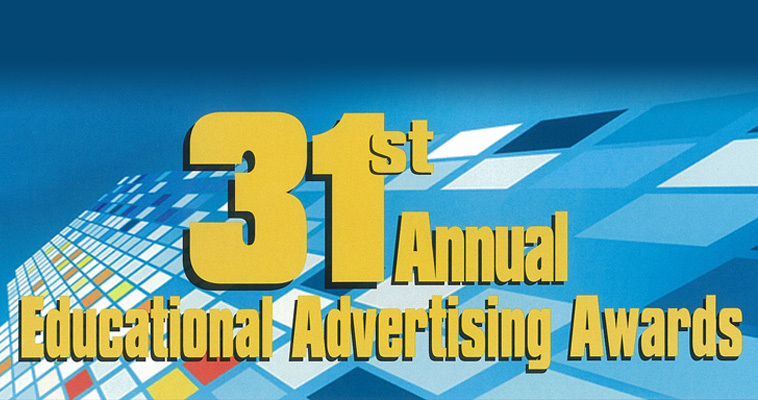 The Educational Advertising Awards is the largest educational advertising awards competition in the nation. This year more than 2,000 entries were received from over 1,000 colleges, universities and secondary schools from all 50 states and several other countries. Judges for the awards consisted of a national panel of higher education marketers, advertising creative directors, marketing and advertising professionals and the editorial board of Higher Education Marketing Report, the leading national publication for higher education marketing professionals for 32 years.